Join us for live music and politics at Tara Hudson Feuerborn's Blue Moon residence! Emceed by nationally known poet Lauren B. Zuniga with music from Peggy Johnson, JL Jones, and Bob Moore. Meet Mark Faulk and hear him speak to the issues that matter in House District 88, the progressive heart of Oklahoma. We welcome all voters in HD 88 to come to this relaxed and casual event. 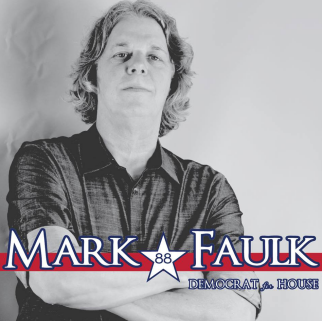 Donate what you can, and come see why Mark Faulk is the clear choice for HD88.